Emperor Ashoka the Great(268 to 232 BC) is much more than a historical figure in India. He is considered as the most successful Indian Emperor, who conquered entire Indian subcontinent. Most of the Indians have a feeling that Emperor Ashoka was a well-known figure throughout in Indian history from ancient times. However, it comes as a surprise and mild shock when one learns that the existence of an Emperor named Ashoka was discovered only in 1915. It was the British archaeologists who found the existence of Ashoka the Great. A little flash back, serious archaeological studies in Indian subcontinent started in 1784 with the establishment of the Asiatic society of Bengal by Sir.William Johns. Quite a few British army officers and government officials were enchanted by the archaeological treasures of India and they started the efforts to conserve and study it. Indian archaeology got a new life with the arrival of James Prinsep, a English scholar, orientalist and antiquary to India in 1819.Prinsep was the editor of Journal of the Asiatic society of Bengal. 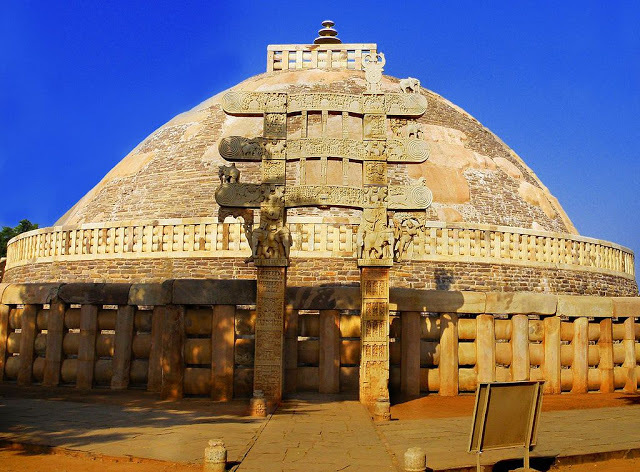 During 1834 archaeologists hit a gold mine when they found a huge archaeological site at Sanchi, Madhya Pradesh. Numerous ancient artifacts and inscriptions were found at Sanchi. Some of the Sanchi inscriptions started with praising a king addressed as “Devanampriya Priyadarshi”- It means one who is benevolent and dear to Gods. The language was Prakrut and the script was ancient Pali. Prinsep played a great role in deciphering the Pali inscriptions. Later decades of 1800 saw a renaissance in the archaeological excavations in India which unearthed numerous ancient edicts starting with the same name “Devanampriya Priyadarshi”. This name started haunting the archaeologists as they couldn’t figure out which is this great Empire whose inscriptions found all across India. However, the first clue came from Sri Lanka, when the archaeologists found a Buddhist inscription mentioning that “Devanampriya Priyadarshi” was a Maurya King and grandson of Chandra Gupta Maurya. Still the name of that Legendary Empire remained as an enigma. Now let’s fast forward to 1904-05 time period. The British Viceroy Lord Curzon was extremely interested in Indian heritage and archaeology. He decided to rejuvenate the Archaeological Survey of India under the guidance of Sir John Marshall. Excavations were going on in full swing pan India. Marshall came to know about an ancient site in Sarnath; however he was busy with Sanchi excavations. He appointed a PWD officer Friedrich Oscar Oertel to lead the Sarnath excavations. Sarnath was a treasure chest of antique artifacts. 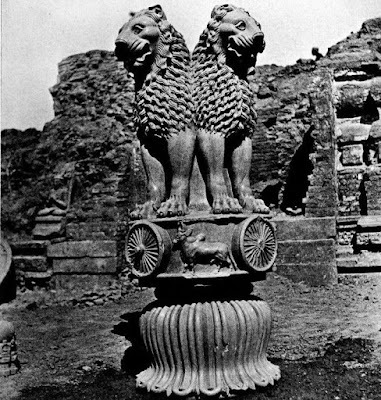 Out of which came the national emblem of India – the lion capital. Once again the name “Devanampriya Priyadarshi” surfaced. Most of inscriptions started with praising this Maurya King. The final piece of the puzzle was found in 1915 in Maski – a small village in the Raichur district of Karnataka. Archaeologists found a Brahmi inscription dated around 256 BC that reads “Devanampriya Priyadarshi Ashokasa”. The emperor who puzzled the Indian archaeologist for over hundred years, the Emperor who was addressed as “Devanampriya Priyadarshi” in the inscriptions all around India was Ashoka. It was a great discovery in Indian archaeology as it revealed a great Emeperor figure who ruled almost entire Indian sub-continent, the influence of Buddhism in the Krishna basin as well as the use of Prakut as a common language and Brahmi as a script. We Indians are losing touch with our own ancient history.Entire India had a very very good internal as well as external connectivity with other Countries too and that's why we find Kharvel dynasties signs in Malaysia,Indonesia,Bali and connectivity with Portugese,Greeks,Arabs and others. We Indians should learn our basics of Self Study i.e.Swadhyay which increases not only analytical capabilities but which empowers us with Quality education too...which is necessary to reconnect with Ancient History.